"Best recipe index for small business and start ups!" It's a very user friendly and if you don't understand it, the company is very helpful and responds to inquiries within 24 hours. I find it very straight forward and easy to us. It is similar to the Genesis program but less costly. The program also offers different label generators and are up to date with the new FDA requirements. Although the program had verified products, they should continue to grow it's database for accurate recipe data. I also don't like the monthly payment, I think a pay as you go program can work best for both parties with the option to continue to edit and change information for free. I also think having the option to have them input your recipes would be helpful. I have some friends that have tired to used the program but are so busy they can't get around to start. The best way to get accurate information with this program is to input all recipe in grams. If you're using cups and volume measure it and weigh it in grams. That will insure you get the most accurate reading for your recipes. The monthly payment can be costly but they work with you. Using the program has helped me start my own food business and a great way to store and maintain recipe data. I can go in and edit recipes with ease and also print a variety for labels for different packaging options. I have been using the new Nutritional Label on my packages and customers love being able to see the amount of added sugar being used. * We monitor all ReciPal reviews to prevent fraudulent reviews and keep review quality high. We do not post reviews by company employees or direct competitors. Validated reviews require the user to submit a screenshot of the product containing their user ID, in order to verify a user is an actual user of the product. Hi there! 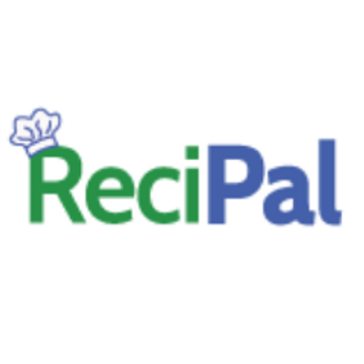 Are you looking to implement a solution like ReciPal?